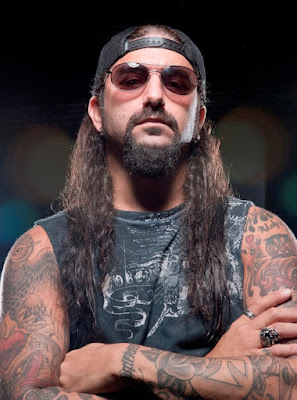 MetalRockNews: Mike Portnoy: "I have no interest in playing perfect"
Mike Portnoy: "I have no interest in playing perfect"
Mike Portnoy was recently interviewed by Stage Shotzz, you can read some excerpts below. About why it's so important for him to be more than just "the guy behind the drums". He said: "It's just my personality. I'm very outgoing, an extrovert, a control freak. I'm OCD [affected by obsessive-compulsive disorder], so it's just my personality. I can't sit quietly in the back." He continued : "The first time I saw The Who's Keith Moon play, I pointed at the screen and said, 'That's what I want to do.' I had been a Who fan my whole life but I had not seen him on screen until 'The Kids Are Alright' in movie theatres in 1979. There was this drummer who you couldn't take your eyes off of. He was captivating. I wanted to be that type of drummer." Portnoy added: "I don't care about technique. I have kind of been pigeonholed as a technical drummer since I was in Dream Theater for all those years, but it's actually very far from the truth. I am not a technical drummer at all. I'm more from the Keith Moon/Lars Ulrich school of 'hey, look at me!' I just get up there and bash. I have no interest in playing 'perfect.' To me, it's more about being an entertainer. Having a connection with the audience."